To encourage academic exchange among young scholars and broaden their horizons, the Universities Service Centre for China Studies of The Chinese University of Hong Kong and CUHK-Chiang Ching Kuo Foundation Asia-Pacific Centre for Chinese Studies co-organize the Graduate Seminar on China (GSOC) every year. The Universities Service Centre for China Studies and CUHK-Chiang Ching-kuo Foundation Asia-Pacific Centre for Chinese Studies co-organize the Graduate Seminar on China (GSOC) every year. The Eleventh GSOC will take place from January 6 to 10, 2015 at The Chinese University of Hong Kong. Applicants need to submit all necessary materials by August 25, 2014. Participants are welcome to stay at the Centre before and /or after the Seminar to conduct research. 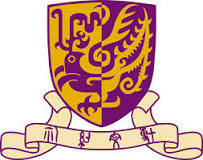 Please find application forms and more details at http://gsoc.usc.cuhk.edu.hk/.